19V-024: Certain 2019 Basecamp X travel trailers manufactured from June 22, 2018, to November 26, 2018. The federal certification label and tire placard may incorrectly state that the vehicle is equipped with 235/55R18 load range D tires needing 80 psi; vehicles actually are equipped with 235/75R15 load range D tires needing 51 psi. Recall start: February 2019. Airstream, (877) 596-6505. 18V-913: Certain 2017-2019 Freightliner trucks and chassis, some of which were built for motorhomes, manufactured from February 10, 2017, to July 21, 2018, and equipped with axles from Detroit Axle: Freightliner 114SD, 122SD, 108SD, Cascadia, and Business Class M2; Freightliner Custom Chassis XBS, XCL, XCM, MT45, MT55, s2G, S2RV, XCR, and XCS; and Western Star 4700, 4900, and 5700. The vehicles may have loose steering and tie-rod arm bolts, which could lead to loss of vehicle control. Recall start: February 2019. Daimler recall number: FL-802. Daimler Trucks, (800) 547-0712. 19V-003: Certain 2015-2017 Freightliner Sprinter 2500 and 3500 and Mercedes-Benz Sprinter 2500 and 3500 vehicles manufactured from June 4, 2014, to July 5, 2017. The vehicles are equipped with certain air bag inflators assembled as part of the driver frontal air bag modules used as original equipment or replacement equipment. In the event of an airbag activation, the inflators may explode due to propellant degradation over time. Recall start: March 2019. Daimler Vans, (877) 762-8267. 19V-004: Certain 2014-2017 Freightliner Sprinter 2500 and 3500 and Mercedes-Benz Sprinter 2500 and 3500 vehicles manufactured from February 27, 2013, to April 5, 2017. The vehicles are equipped with certain air bag inflators assembled as part of the passenger frontal air bag modules used as original equipment or replacement equipment. In the event of an airbag activation, the inflators may explode due to propellant degradation over time. Recall start: March 2019. Daimler Vans, (877) 762-8267. 19V-070: Certain 2019 Mercedes-Benz Sprinter VS30 vehicles manufactured from August 1, 2018, to January 22, 2019. The steering shaft that connects to the steering gear may disconnect without warning, causing sudden loss of steering control. Owners should stop driving the vehicles and call their dealers to have the vehicles towed for service or repaired on site. Daimler Vans recall number: 2019010006. Daimler Vans, (800) 367-6372. 18V-856: Certain 2019 Salem and Wildwood travel trailers manufactured from November 20 to November 28, 2018. The clearance lights may be incorrectly wired. Recall start: December 2018. Forest River, (574) 534-6127. 18V-879: Certain 2019 Coachmen Apex and Spirit; Forest River Impression; and Prime Time Tracer travel trailers manufactured from September 13 to September 28, 2018, and built with Dexter trailer axles. The inner hub bearings may not have been greased sufficiently, which can cause the bearings to overheat and fail. Recall start: February 2019. Forest River recall number: 51-0923. Apex: (574) 358-0401; Forest River: (866) 837-6044; Spirit: (574) 825-8205; Prime Time: (574) 862-1025. 18V-933: Certain 2019 Salem and Wildwood travel trailers manufactured from August 27, 2018, to December 13, 2018. The power cord hatch is located above the water heater exhaust, which could cause the cord or the hatch to melt. Recall start: February 2019. Forest River, (574) 534-3167. 19V-048: Certain 2019 Glaval Entourage and 2017-2018 Berkshire Coach Ultra motorhomes manufactured from December 21, 2018, to January 4, 2019, built on Ford chassis and equipped with an engine block heater. Water and contaminants may enter the block heater cable’s splice connector, damaging the connector, which can result in an electrical short. Forest River, (574) 343-5111, or Ford, (866) 436-7332. 19V-050: Certain 2018 XLR travel trailers, models XLT26HFS, XLT26HFS-W, and XLT27KW. The trailers were not equipped with a propane/carbon monoxide detector. Forest River, (574) 642-0432. 18V-896: Certain Milestone fifth-wheels, model 377MB, manufactured from August 23, 2018, to December 14, 2018. The propane hose for the water heater may have been improperly secured with a zip tie; if the zip tie fails, the hose may contact the tire, increasing the risk of a fire. Recall start: February 2019. 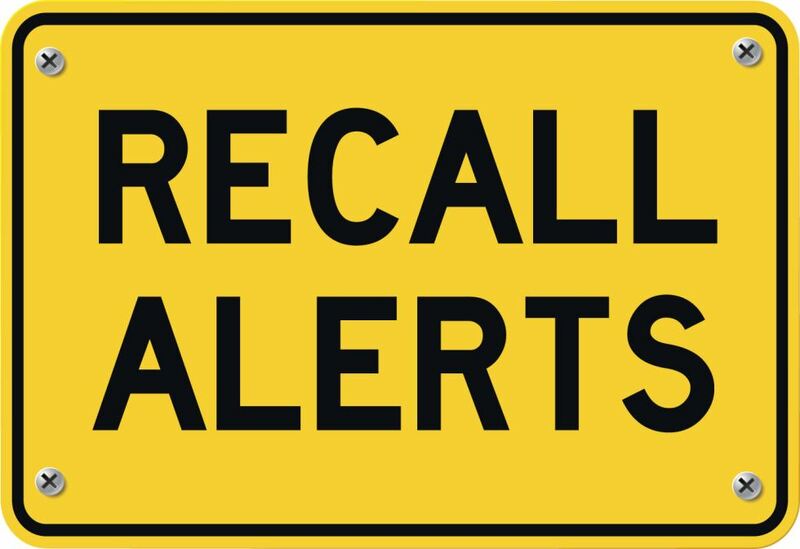 Heartland recall number: 99.01.44. Heartland, (877) 262-8032. 19V-041: Certain 2019 Prowler and Trail Runner travel trailers manufactured from October 8, 2018, to November 30, 2018. The trailers are equipped with load range D tires instead of load range E tires. Recall start: February 2019. Heartland recall number: 99.01.46. Heartland, (877) 262-8032. 19V-043: Certain 2019 Prowler and Trail Runner travel trailers manufactured from September 19, 2018, to January 10, 2019. The federal certification label may contain incorrect tire size, load range, and tire pressure information. Recall start: February 2019. Heartland recall number: 99.01.45. Heartland, (877) 262-8032. 18V-871: Certain 2018 and 2019 Raptor toy hauler trailers manufactured from August 14, 2017, to November 14, 2018. The quick-disconnect rubber propane line may be incorrectly routed, allowing the outside grill to be stored while the fuel supply is still on and the flame is still lit. Recall start: January 2019. Keystone recall number: 19-343. Keystone, (866) 425-4369. 19V-026: Certain 2019 Dutchmen Endurance and 2017-2019 Dutchmen Voltage travel trailers. The tires may make contact with the rear floor support, affecting the trailer’s handling. Recall start: January 2019. Keystone recall number: 19-338. Keystone, (866) 425-4369. 19V-058: Certain 2019 Montana fifth-wheels, models 3855BR and 3854BR, manufactured from June 5, 2018, to October 26, 2018. The adjustment bolt for the kitchen slideout and the head adjustment mechanism for the dinette slideout may make contact with the tire during transit. Recall start: February 2019. Keystone recall number: 19-341. Keystone, (866) 425-4369. 18V-859: Certain 2018-2019 Essex, London Aire, Mountain Aire, Ventana, and Ventana LE motorhomes manufactured from November 10, 2017, to October 31, 2018. The brake caliper mounting bolts may not have been tightened sufficiently. Newmar recall number: 18V-703. Newmar, (800) 731-8300. 19V-049: Certain 2019-2020 Specialty K1 motorhome chassis equipped with independent front suspension and front drum brakes. The cotter pins may be missing or improperly installed at the actuator rod of the front slack adjuster. Recall start: March 2019. Spartan recall number: 19001. Spartan, (855) 589-9836. 18V-925: Certain 2019 Serenity motorhomes, model S24CB, manufactured from September 24, 2018, to December 12, 2018. The battery compartment door’s metal support cable may contact the positive battery terminal, potentially causing a short and increasing the risk of a fire. Recall start: February 2019. Triple E’s recall number: CA#9208-1. Triple E, (877) 992-9906. 19V-042: Certain 2012-2018 Era motorhomes manufactured from November 11, 2010, to January 16, 2019. The overhead cabinet shelf may have been improperly attached, allowing the cabinet to fall into the cab area. Winnebago, (800) 537-1885.